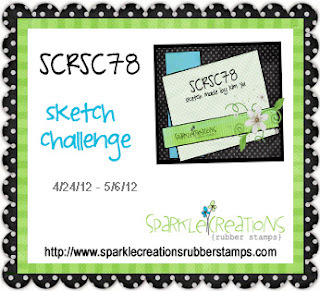 Sparkle Creations Rubber Stamps Challenge #78! I just love this darling image called Bicycle Chloe. Isn't she so super sweet! I paired her with some My Mind's Eye Six by Six Vanity Fair dp. Well, I enjoyed my first day of work last weekend. I was exhausted by the end of the night, but everybody was so nice and we made some awesome tips! 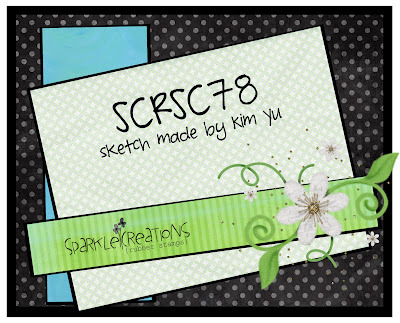 I'm going to help out with another wedding this Saturday:) Thank you so much for stopping by. 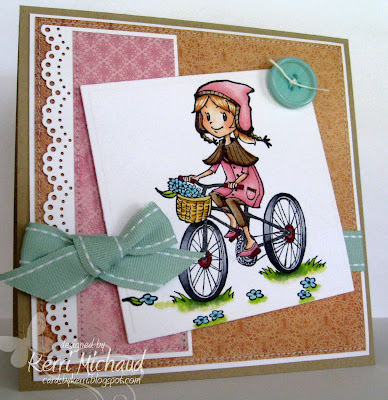 I'll be back in the morning with a very special announcement from Your Next Stamp and a fun blog hop!